Windows 10 Admin Password Not Working, How to Fix? Forgot your Windows admin password when you're locked out completely or your Windows 10 admin password is incorrect? How to login into PC directly without any password? Thankfully, there are two simple way to get back into Windows so long as you have a Windows installation disc. Please read on. A lot of people neglect the importance of password reset disk features in Windows 10 or they don't bother to create a password reset disk. If Windows 10 local admin password not working and have a created reset disk in your hand, resetting password becomes very easy. Step 1: First access to your Windows 10 login screen. 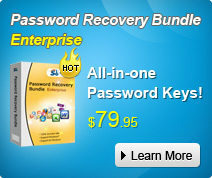 Step 2: Simply type a wrong password and Reset your password will pop up. Step 3: Then insert your USB flash drive password reset disk to your computer then click the link. Step 4: The wizard will guide you to reset your password. You can also create a new password for your local user account. Note: This method only works with a local admin account, if you have no reset disk tool, then you can see the second solution below. If you have no reset disk before data loss, actually you still have the chance to immediately and easily reset your forgotten Windows 10 password. Just try Windows Password Recovery program to help you fix Windows 10 admin password not working. 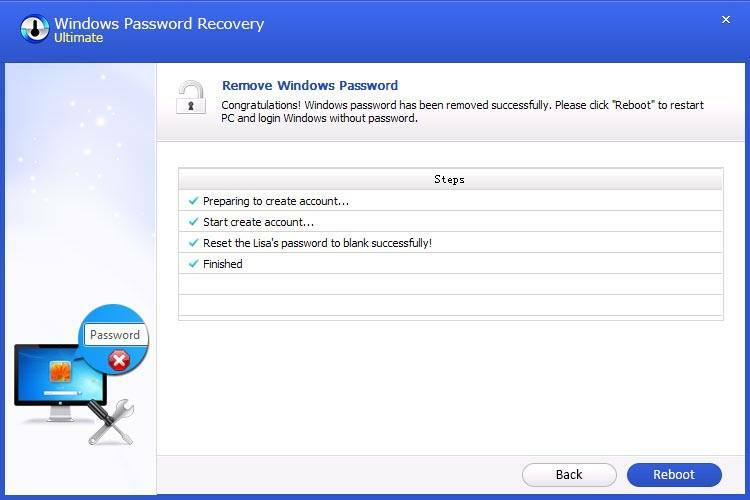 With Windows Password Recovery tool you can directly burn ISO files to USB drive/DVD/CD in Windows 10/8.1//7, then reset or remove your password even without disk, or create a new administrator account easily. 1) A USB drive or black DVD or CD. 2) An accessible Windows computer. 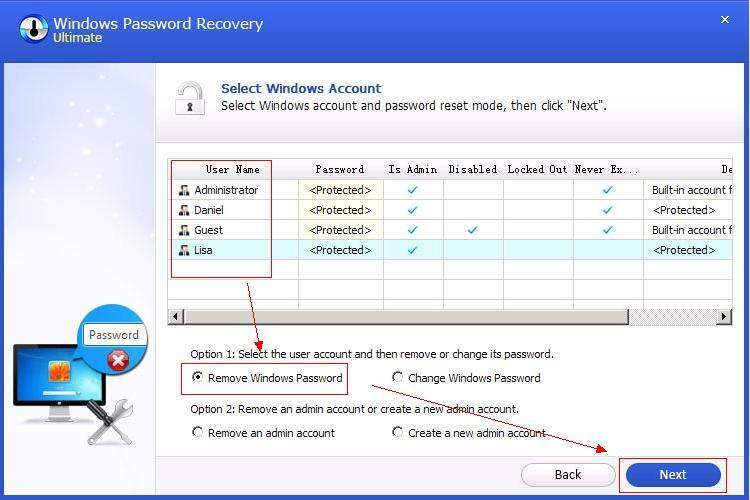 3) Windows Password Recovery program, you can directly download it below. Now follow the step-by-step tutorial to fix "Windows 10 admin password not working" issue. Install the downloaded Windows Password Recovery Ultimate on your computer you have access to. Run this program on a workable Windows PC. To proceed with password removing instead of changing a password, click on the admin account whose password you'd like to bypass and then select Remove Windows Password, and then hit Next to proceed. Your Windows password will be removed. Click "Next" to confirm. After that, you have removed the password successfully. Click "Reboot" to restart your computer. When you come to the Windows login screen, simply type anything in the password box and you're in. With Windows Password Recovery, you can quickly remove local/Microsoft account passwords and admin password on Windows 10, 8.1, 8, 7, Vista, XP. No need to recover or reset the password at all when your Windows admin password not working.